← SCBWI The Book and New York Registration News! Happy … Sunday, everyone! (Sorry – I had a post-editing brainache on Friday, so this one’s a little late.) But today, I have some great SCBWI and member news! 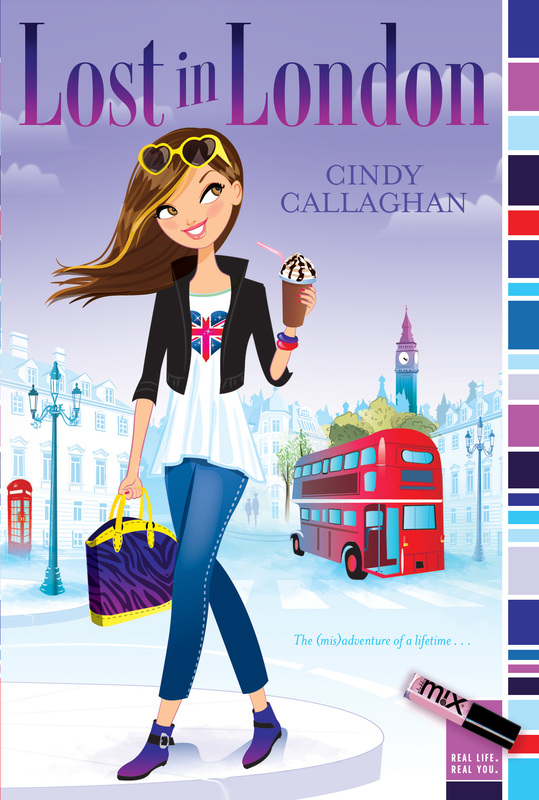 First off, congratulations and a mighty woo-HOO to Cindy Callaghan, for her recent release of LOST IN LONDON! Jordan needs excitement, anything but her current ho-hum life. She jets to London hoping to find an adventure; she finds one, and oh-so-much more. Over six short days she and her posh new friends get locked in a massive department store overnight, blackmailed into conducting a cross-city scavenger hunt that takes her to amazing medieval sites, and find themselves in trouble with the London police. As you would expect from a Callaghan book, LOST IN LONDON is face-paced, funny, and stuffed with quirky characters and lots of delicious desserts. Again, congrats, Cindy, and best of luck with LOST IN LONDON! 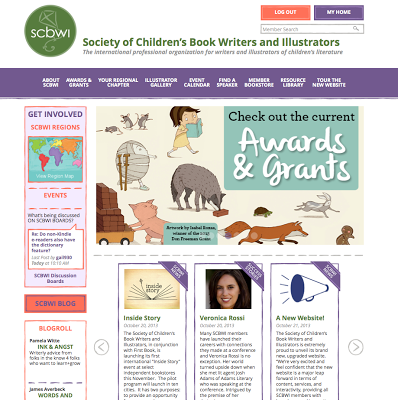 Next up, have you checked out SCBWI’s brand spanking new website? Both PAL and Full (i.e., independently published) members can post their books for sale, including synopses, book trailers and reviews. The store is linked directly to Indie Bound, Barnes and Noble, Amazon or to your own website. Anyone shopping in the bookstore can easily buy your book. Your own bookstore listings are provided free with your membership. How cool is that? Our new and improved Speakers Bureau is now open to all members (both PAL members and Full members) who have published a book for children. Post information about your speaking, along with a sample video if you desire, for teachers, librarians and organizations to discover. They can now find you by your book title or zip code or many other searchable features. All members, whether published or pre-published, are eligible to list their blog in our blog roll. Each month we will select from this listing ten blogs to feature on our homepage. Both are huge opportunities to drive traffic to your blog. Our Illustrator Gallery is now entirely searchable and user-friendly. Potential employers can find you based on your genre, style, keyword, name, or region. Many illustrators have found have found work through our Illustrator Gallery—and now the opportunities are even greater. 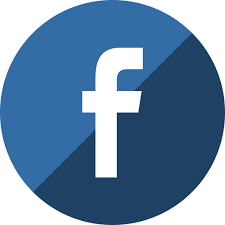 Those of you who use our Discussion Boards are probably already aware that we have merged with Verla Kay’s Blueboards and brought aboard her team of knowledgeable moderators and the large community that is part of the Blueboards. If you have not visited the Boards in a while, we think you will be pleasantly surprised with the active, vocal, helpful community that exists there. Two hundred and fifty issues of SCBWI’s bi-monthly Bulletin, representing forty-two years of articles and advice, are now easily searchable by keyword. We doubt there is any other resource currently on the web that contains this much information on the field of children’s books. All SCBWI events will now appear on a central searchable calendar, providing you with access to information about SCBWI events all over the globe. Connecting with any SCBWI activity is now just a click away. SCBWI is releasing a podcast each month–thirty to forty-five minute interviews with leaders in our field-from editors and art directors to authors and illustrators. These are available free to you as an SCBWI member. The first podcast, an interview with editor Melissa Manlove of Chronicle Books, is up on the site now. Listen and enjoy. Four times a year, beginning in March 2014, members with books (both those published traditionally and independently) debuting during the calendar year will be able to host a virtual Launch Party. Sample templates are on the site for you to check out—showing you the possibilities for making your page as creative and interactive and beautiful as you’d like. In these times when drawing attention to your work is so challenging, the SCBWI Book Launch Party will become a quarterly special event. Beginning in March, the website will be hosting regular Video Intensives on specific areas of craft and marketing, taught by leading faculty. The sessions will parallel the amazing intensives offered at our conferences, and will be a cost-effective way to have that experience if you can’t be there in person. 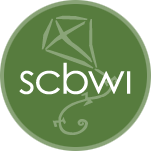 We urge you to logon to scbwi.org and look around the new site. Be sure to update your profile, enter your books in the bookstore, and update your Speakers Bureau and Illustrator Gallery entries. Pop onto the discussion boards, start visualizing your launch party, check out SCBWI events near and far. For more info, be sure to read this SCBWI blog post! And if you’re like me and haven’t updated your member bio information in … yikes, three years, then now’s a good time to enter your website, blog address, twitter account, published books and many other goodies. There’s even a spot for My Artist Statement, which is very interesting and makes me think … what is my statement? Thanks, Laura for posting about these new features and THE BOOK. The up-do has plenty more to offer than the previous incarnation.